I think I was lied to! Another great anchor find from F & F! Biggest mall in the southern hemisphere? How did I miss these?? 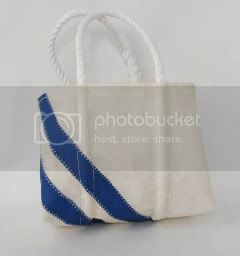 All of the bags are custom made from recycled sails! How cool is that? The bags come in a variety of sizes and patterns. I have two of them and love them!! 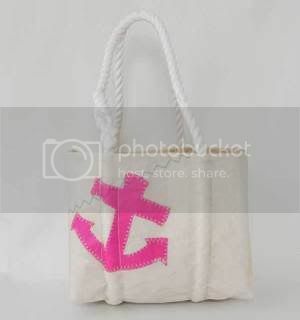 I have know about these bags for a while- My cousins have a summer home in Chester Nova Scotia and do a lot of sailing- but I have never see the pink anchor version~! I love it! I love the first one with the hot pink - very cute! 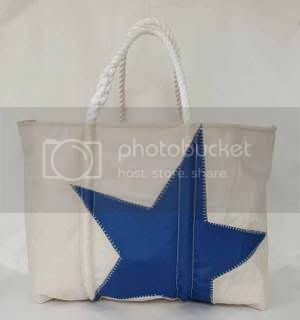 I would think these are actually kind of plain in design but the fact that they're recycled sails is FABULOUS.